D L Craft Sticks Jumbo are an extra large paddle pop type stick. They are perfect for school or for home craft projects. 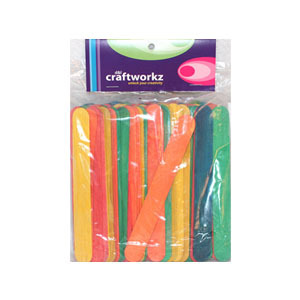 Use D L Craft Sticks Jumbo to construct rafts, boxes, houses, coasters or make little paddle pop people. Fantastic for kids to use to create presents for loved ones.